For regulatory and compliance reasons this offer and sale is only being made to residents of; Switzerland, EU (including the UK), Japan, Singapore, Australia and New Zealand. Equibit solves a current equity market need by replacing an antiquated and expensive single-trust system with a peer-to-peer network. It exponentially increases openness and forces transparency on a system that is growing in popularity among investors and issuing companies. Integrating seamlessly with the original Bitcoin protocol also allows Equibit to more easily gain traction within an already robust community and to take advantage of the growing pool of capital. Overall, we believe that Equibit will greatly advance how companies distribute equity and handle their investor relations. 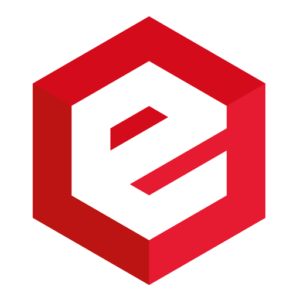 Equibit Portfolio serves as a portal to the Equibit network, in which blockchain technology backs and facilitates the issuance and management of digital securities. Equibit Portfolio offers a secure, digital, decentralized environment for managing your security issuance, whether through equity or debt. Near real-time settlement eliminates counterparty risk, while a distributed, consensus-based network protects trading information from manipulation or fraud. Deliver communication seamlessly via Equibit Portfolio’s peer-to-peer investor messaging function, ensuring all investors receive up-to-date company information. Equibit Passports make managing the investor process seamless, giving issuers control over who purchases their securities - accredited investors, friends, family, or the public - it’s up to you. Show the market you’re a leader: leverage blockchain technology for your next capital raise.